over the long thanksgiving weekend, we packed away our fall decorations and decorated our house with our christmas decor. 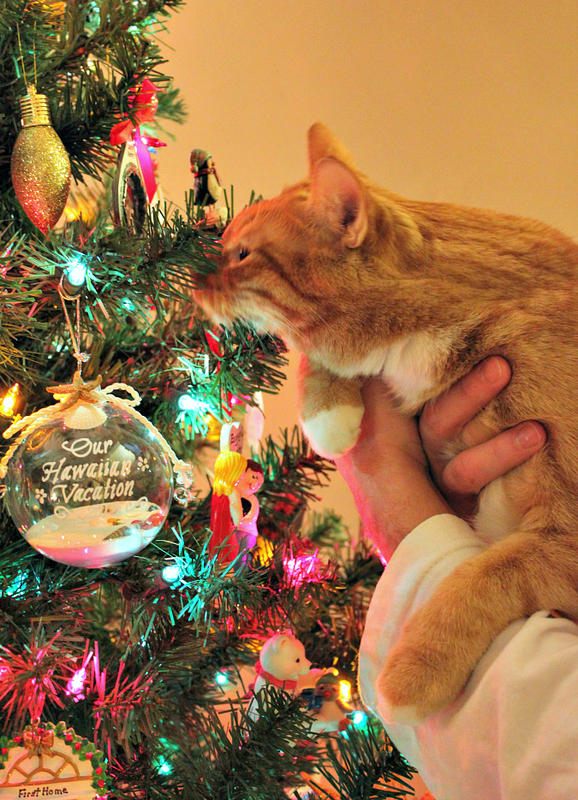 we also put up our christmas tree, which is leko's second favorite thing in the world (second of course to tuna fish). as soon as we brought our tree out of storage, his eyes lit up. he just loves chewing on the branches, it is the strangest thing. thus begins another holiday season of me having to pluck a furry orange ornament out of the christmas tree every 5 seconds! I love this picture. Kissing the Christmas Tree.